The Abbott government’s $2.55 billion scheme to pay polluters to lower their emissions so that Australia can meet its emissions reduction target of five percent below 2000 levels by 2020 will see its first Direct Action auction today. However DEA spokesperson and rehabilitation physician Dr Helen Redmond describes the Abbott government’s scheme as “ineffectual public policy that is putting the health of each and every Australian at risk by ignoring the reality of a disrupted climate”. Dr Redmond says we are already experiencing the health effects of climate change. More intense heat (the leading cause of weather-related deaths in Australia) that can lead to dehydration, heat-related illness including heat stroke, acute renal failure or heart attacks. 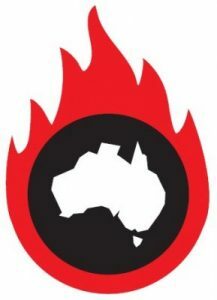 More bushfires, which can lead to injury or death from trauma, burns or smoke inhalation, or later to mental illness, for example post traumatic stress disorder. A rise in food-borne diarrhoeal disease (eg. salmonella infection); changes in air quality (eg. particulate matter, ozone formation and aeroallergens) causing asthma and respiratory irritation; mental health such as depression in drought stricken rural areas; heat stress in some outdoor workers; and mosquito-borne infections like Dengue, Ross River virus and Barmah Forest virus. Dr Redmond adds that these impacts will lead to an increase of workloads and economic and logistical demands on the nation’s already stressed health system. “As doctors we are alarmed by the medical impacts of climate change and what the future will hold for the health and well being of our patients and communities. “The evidence that a warming world is upon us right here and now is unambiguous and is widely documented in national and international scientific assessments,“ says Dr Redmond. DEA recently put in a submission to the Climate Change Authority arguing Australia should be aiming at emissions targets of 40% by 2025 and 95% by 2050. Dr Helen Redmond is a Rehabilitation Physician and a national committee member of DEA. Dr George Crisp is a GP and a national committee member of DEA. Sir Gustav Nossal, Professor Peter Doherty, Professor Fiona Stanley, Rosemary Stanton, Professor Stephen Boyden, Professor Bob Douglas, Professor Michael Kidd, Professor David de Kretser, Professor Steve Leeder, Professor Ian Lowe, Professor Robyn McDermott, Professor Peter Newman, Professor Hugh Possingham, Professor Lawrie Powell, Norman Swan, Professor David Yencken.